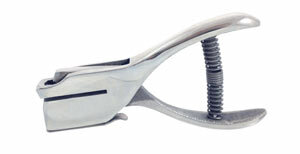 Designed for the convenience of all who carry and use hand punches. 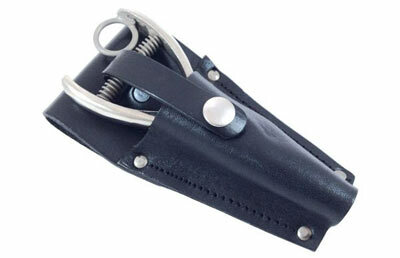 This leather holster is made of top quality heavy cowhide to take hard usage. It has a Snapdown & Fastener, Belt Loop, and fits all our punches except #439, #484, #36 & 448CR. Reservoir to catch the clippings is already included on 5R, 468 & 433LH punches and can be made for most of our other punches upon request. Hole in handle can be put on almost any punch to accomodate security chains below. Finger ring is already included on 402, 404, and 405. 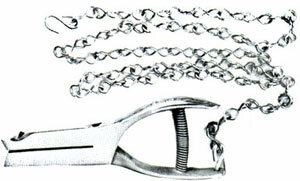 Finger rings can be added to most of our other punches, for easy handling and/or to attach security chains (shown below). Security chain comes attached to punch with “S” hook on opposite end. Designed to aid in avoiding misplacement or theft of punch. 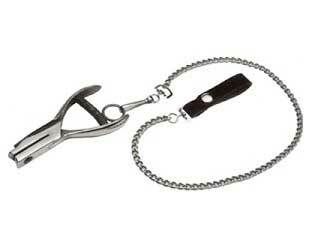 Leather belt loop secured to high luster steel chain and swivels.